You want to get yourself in better shape and feel amazing. You’ve heard about the health benefits of running, and so you want to give it a try. Or maybe you used to run and want to get back into it. Whatever your reasons, running can be a great past-time that helps you strengthen your muscles, help your bones, get your heart working optimally, and feel great! 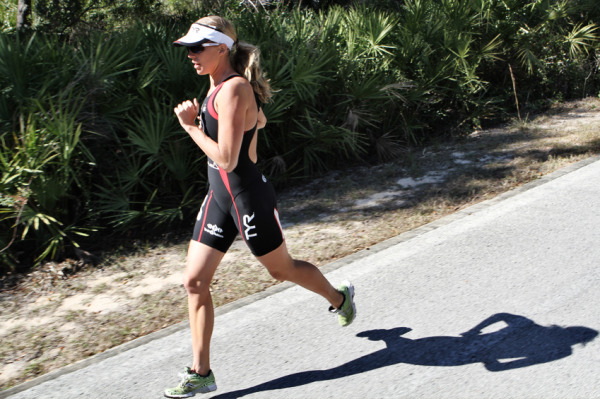 Inadequate training time: To run any distance, you need to be able to cover the distance. If you’re running in a half marathon or a longer distance, then typically, you would run most of the distance, such as 11 miles, comfortably during training. The problem arises when you don’t run enough longer distances times during your training. This can cause problems on the actual race day because your body isn’t expecting such a workout. Make sure you get enough longer training runs in before the race date so that your body isn’t left in a state of shock on the actual day. Ignoring your body: An important part of training is recovery. Though it may sound like a contradiction, you need to run, and you need to rest. This lets your body recover from the wear and tear that running causes. Insufficient recovery time will simply tire you out, making any subsequent runs more difficult than they need to be, and making you cranky too. Therefore, intersperse slow, short running days and no-run days in between your longer runs. Lack of proper nutrients and hydration: You don’t want to weigh yourself down with water bottles or food, but when running longer distances, your body needs fuel. You need water because you will be sweating, and you need food to replace the calories that you are burning. If you don’t get enough of both, you will feel sluggish and slow. During training, try out different foods and drinks to see what you enjoy eating, what your body can handle, and what you are comfortable to carry to avoid first marathon mistakes that many make. 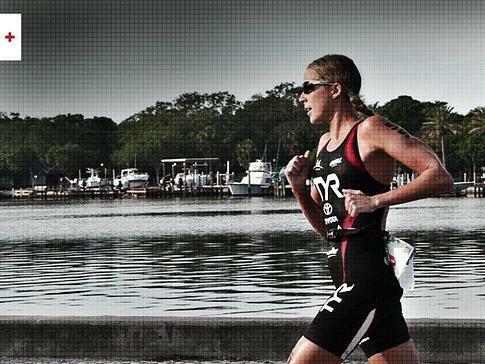 Not having comfy clothing: You may have a favorite race shirt, but is it comfortable? Your shoes are worn – time to get a new pair? You want to be as comfortable as possible on race day, but to know that, you have to wear your clothes on enough training runs to find out. If you need new shoes, wear them on enough training runs to ensure you don’t get blisters. If your clothes tend to chafe you during longer runs, consider anti-chafing cream. It can minimize the friction caused by the clothes rubbing together, prevent blisters, and even bleeding, while moisturizing your skin. Learning to train properly for a race is a matter of trial and error – you need to know what works for you and your body, and tweak the areas that don’t. By following the tips above, you can prevent or minimize many of the first marathon mistakes that others make so that your first race can be an exhilarating accomplishment. Good luck! Everyone has a goal this year; whether saving money, spending more quality time with family/friends, quit smoking/drinking, or getting out of debt. When some of those New Year’s resolutions start to fade, we want to help you keep you focused on what’s important. Getting into shape is, and should always be a priority. This gives you the momentum to reach your goals. Resolution runs give you something specific to plan for and to remain committed to. If you stay focused on achieving smaller goals first, those will eventually lead to larger resolutions throughout the year. Your commitment will also have an effect on building a larger social circle and setting a good example for your family. Take a look at why people are signing up for resolution runs: http://www.active.com/running/Articles/Top-5-Reasons-to-Sign-Up-for-a-Resolution-Race.htm . You can find a race that meets your goals throughout the country by using the following link: http://running.competitor.com/race-calendar. A third important tip to tackle your fitness resolutions is to find a workout that accommodates your budget. You don’t need to “over-gear” with expensive items to make working out a little more enjoyable and less painful experience. Nevertheless, you need to be aware that one of the most important pieces of equipment to any kind of exercise is choosing the right shoe. If you decide that running is your thing, you are better off with a shoe that provides a firm heel, good support, and lightweight. Also make sure you are using a shirt made of wicking fabric, wicking socks, comfortable tights, and for women, a comfortable sports bra. Check this article for more tips on essential equipment for new runners: http://www.active.com/running/Articles/3-Gear-Essentials-for-Newbie-Runners. Products like anti-chafe are must-haves, especially in humid weather, and now you have the option to prevent chafing using silicone-based creams or sticks that stay in place longer than waxed-based anti-chafing products. Mission Athletecare has developed an Anti-Chafe formula that outlasts the competition: http://www.missionathletecare.com/collections/anti-chafe. 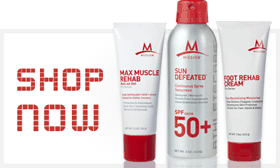 Additionally, having a muscle rehab product in hand will help you get back out there quicker: http://www.missionathletecare.com/products/max-muscle-rehab. So, get your Mission on, and keep those resolutions going all year round!